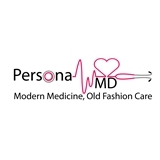 Persona MD (Gurnee) - Book Appointment Online! We accept only Blue Cross PPO We offer monthly membership for $70/month to cover unlimited office visits, inexpensive labs, medications available in the office for few dollars. I can’t say enough about Dr. Sobhi! He is caring, thorough and truly cares about getting to the root cause of any issue I am having. I recently was hospitalized for 4.1 hemoglobin level aka critical condition. Dr.Sobhi has been monitoring my levels and calling to check on me. Excellent doctor!